I could have chosen her husband Charles Tourville for this article but so much has been written about him. Let the woman shine! First, let me tell you how I got acquainted with Sophie. It was a long time ago, maybe 15 years back, before I even knew the existence of US Censuses, Ancestry and so on. One night when I was working very late at the office, waiting for the sign-off of a document, trying hard to keep myself awake, I surfed the Internet (no Internet at home at that time). Guess what I did? Well, I typed my surname of course! I was already into genealogy at that time, trying to find all the descendents of Mathieu Hubou and a lot of them seemed to have vanished in the air. As there was no online search at that time, I had to go through each parish repertoire, most of them featuring only mariages, no baptisms nor burials, so you understand that my research did not go very far giving the little time I had to dedicate to genealogy. I still remember when I was arriving early at the library in Montreal on a Saturday morning, waiting for my turn to have the microfilm reader just for one hour. Going through Canadian censuses at the time was quite a long process. So, as I was saying, I surfed the Internet and I saw on a US genealogy forum that someone was looking for LaCounts, mentioning the mother was Catherine Tourville from Canada. So I sent an email to this person, Clay LaCount, at 2AM and I got an answer almost immediately much to my surprise (I haven’t realized that he was living on the West Coast). He wrote to me that he was looking for information on Anthony LaCount and Catherine Tourville. He also mentioned that the brother of Catherine, Charles Tourville and his children were living with them in Chateaugay, New York in 1850. That according to family lore, they first settled in Vergennes, Vermont, about 200 km south from St-Hughes, in the late 1830’s but were in Chateaugay since the late 1840’s. As I said in an earlier post, that is how I was introduced to genealogy research in the US. What do I know about Sophie? She was born in 1811 in St-Hyacinthe. Her father Étienne Arpajou lost his first wife Marie-Françoise Laprée in 1804, who left behind her 5 children. Her mother is Madeleine Plourde who was married to Étienne in 1805. Besides her 5 half siblings, Sophie had also 3 siblings. Sophie got married to Charles Tourville in 1827 at age 16. At the time of their marriage, Charles purchased a land in what would become St-Hughes later. Sophie seems to have lived in St-Hughes until about 1837. After that year, the family moved to Vermont, maybe during the winter time, where Charles probably worked on larger farms or in mills as a laborer as were doing other French-Canadians in that time period. Was their move a consequence of the rebellions of 1837-38 in Lower Canada? It is a strong possibility. Their daughter Domithilde Tourville was born on February 16, 1839 but only baptized in July 1839 in Quebec. It is very much possible that she was born in Vermont. 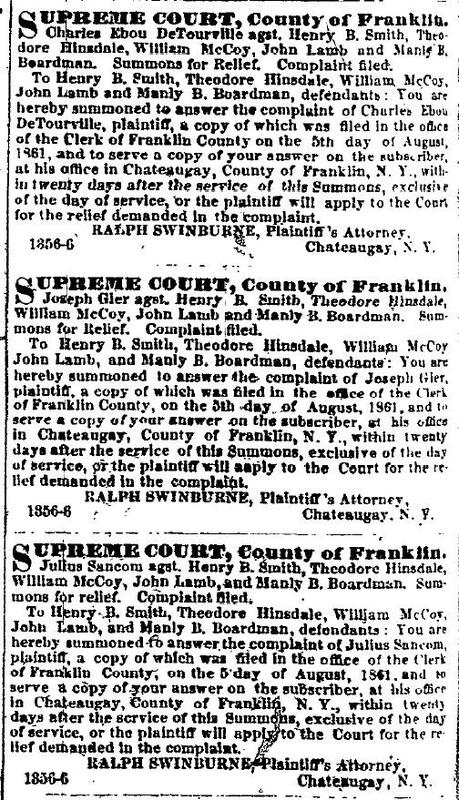 The family is in Ferrisburgh, in 1840. A daughter, Philomena, was baptized in Burlington in 1841. Another daughter, Julia was born about 1843 also in Vermont. Both sons, Louis and Joseph, respectively born in 1844 and 1846 were born and baptized in Quebec. Interesting fact: in 1844, for the baptism of Louis, Charles is absent. I recently found two younger children, both baptized the same day in 1848 in Burlington. They were probably twins. Sophie had 13 children, a total of 8 making it to adulthood. I always assumed that Sophie Arpajou died in Chateaugay as Charles was living there in 1850 with some of his children. I now think she died in Vermont. Maybe she died shortly after giving birth to the twins. 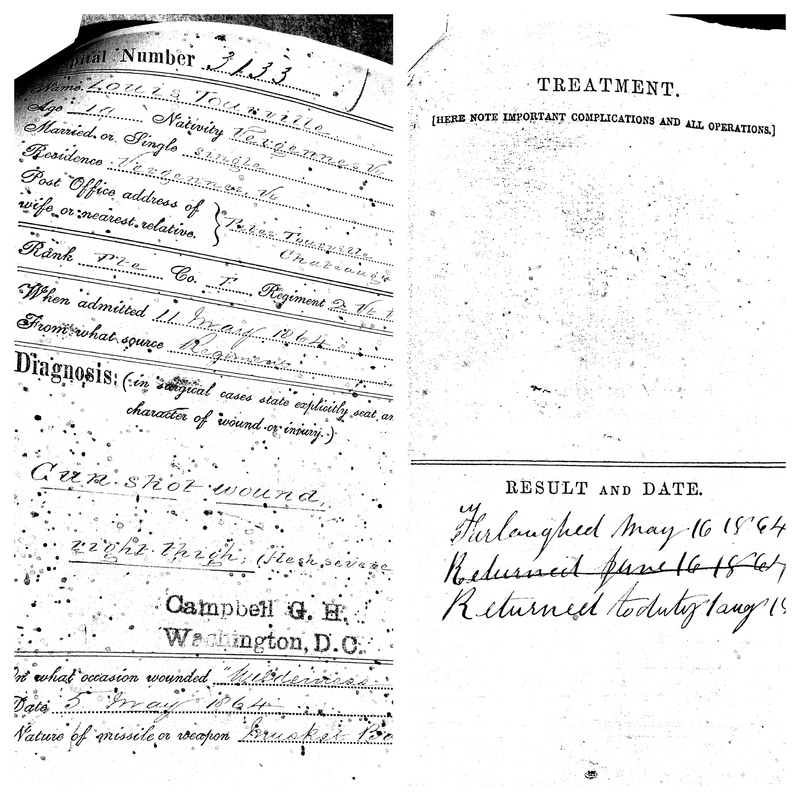 Maybe Charles went to live to Chateaugay with his sister to get some help for the children. What we know for sure is that the twins didn’t survive because in October 1851, Charles sold his land is St-Hughes which appeared, along with the old house, to have been abandonned. In a tutorship act related to the sale of the land, Charles lists his surviving children, Charles, Sophie, Étienne, Marie-Édesse, Philomène, Julie, Louis and Joseph. Finding all the children of Sophie Arpajou was not a piece of cake. In the next 8 weeks, I will feature each of the children who made it to adulthood. Finding information on each of them was an adventure in itself (which is far from over), so be sure to tune in next week! The name Arpajou is quite rare. Sometimes spelled Harpageau or Arpageau, it seemed to have vanished. I know from a fact that a nephew of Sophie married twice in Vermont but is nowhere to be found. If you happen to know how the name was changed to in the US, please let me know! If you have been doing genealogy for just a couple of years and you are frustrated because you can’t find anything online from the comfort of your home, have you ever thought of all the leg work that was done by our fellow amateur genealogists in the late ’60’s? While I was in Salt Lake City this past November, I came across an article in the Manasota Genealogical Society, Inc. Newsletter of March 1980 which I found fascinating to read. This article, Searching for my Canadian Roots, is from Clarence W. Tourville and his wife Grayce. It relates their four trips to Canada to retrace his great grandfather Charles Tourville, married to Julia Leclair. When I think of all the work and travelling he did with the little (and misleading) information he had, I can only admire the guy! 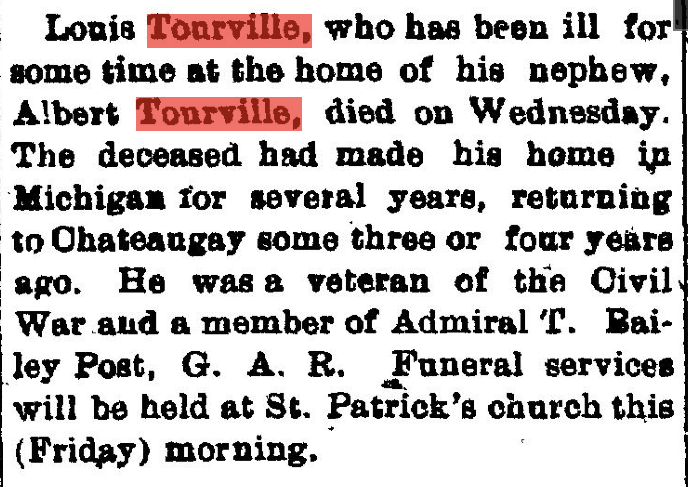 For those who wouldn’t know, Peter Tourville, mentioned in the article, was the brother of his great-grandfather. Roy Tourville was Raymond Tourville, of Syracuse, NY, who was born in Chicago, IL and was the son of Fred Tourville and grandson of Louis Tourville, married to Susan Belec and uncle of Alphonse Tourville who settled in Nebraska.